Now, forget wands or precision-required lipstick. 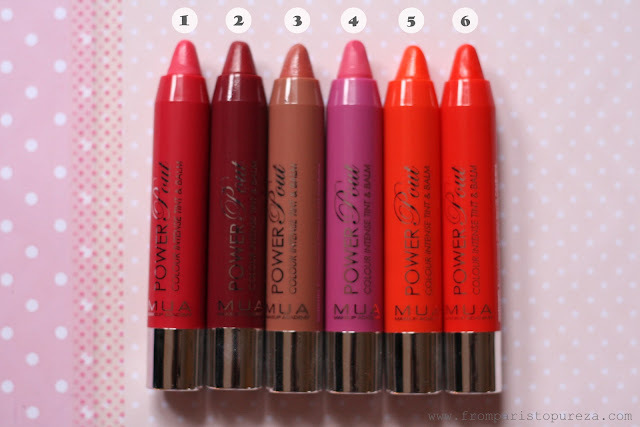 The new MUA Power Pout comes in an easy-to-apply chubby swivel pencil form. 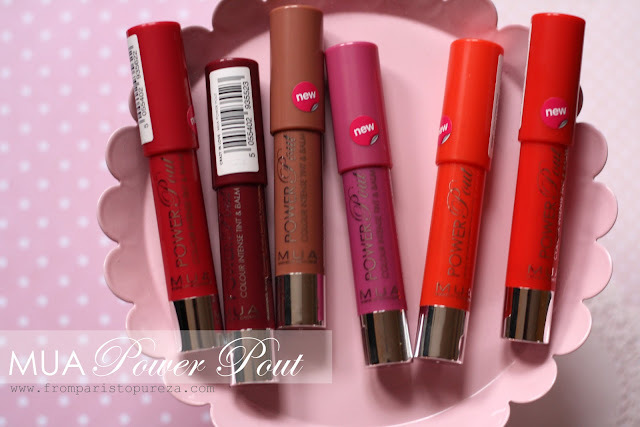 These "Tint & Balm" beauties are super moisturizing and long-lasting leaving your lips a perfect silky smooth with a subtle color, less the stickiness! 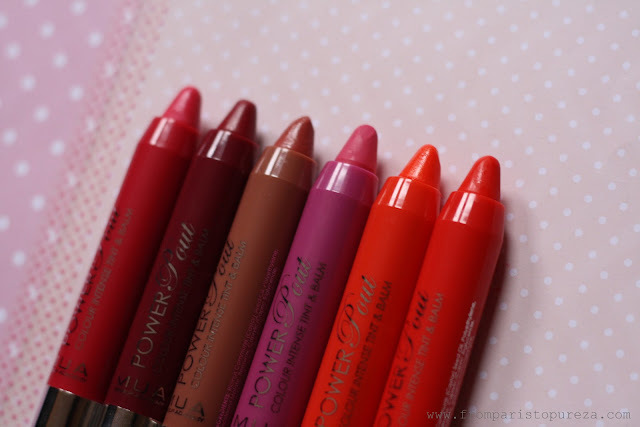 The colors are great - they are not too bold and too intense, they are not extreme (the above swatches were done in 3 coats just to show off the color on the photo) hence they are actually soft, and subtle, adding a hint of sweet tint to bare lips with a great moisture effect. And hey lovelies, don't forget to check out my blog giveaway that will end in a few!